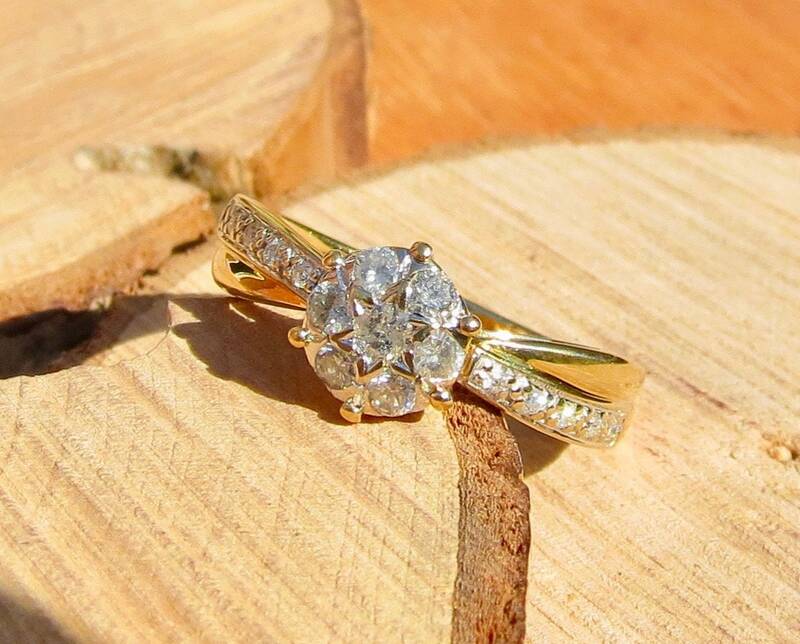 A petité 9k yellow gold 1/4 carat diamond daisy ring. 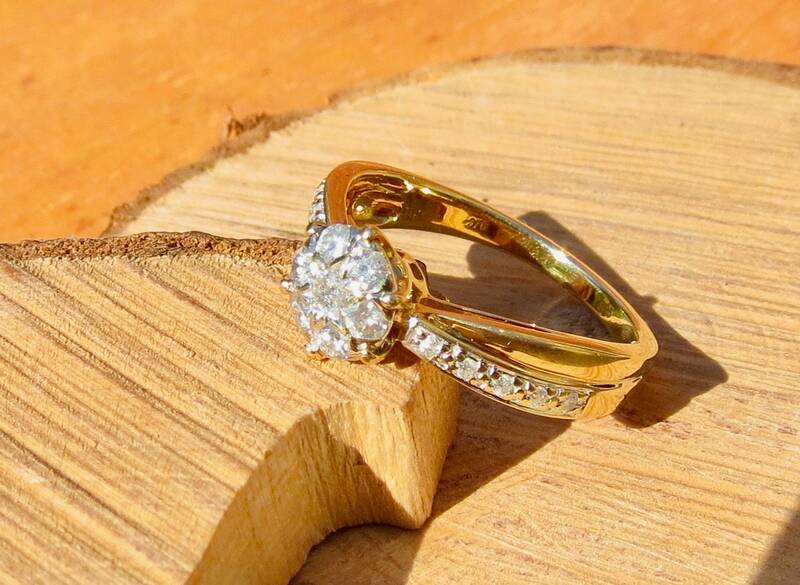 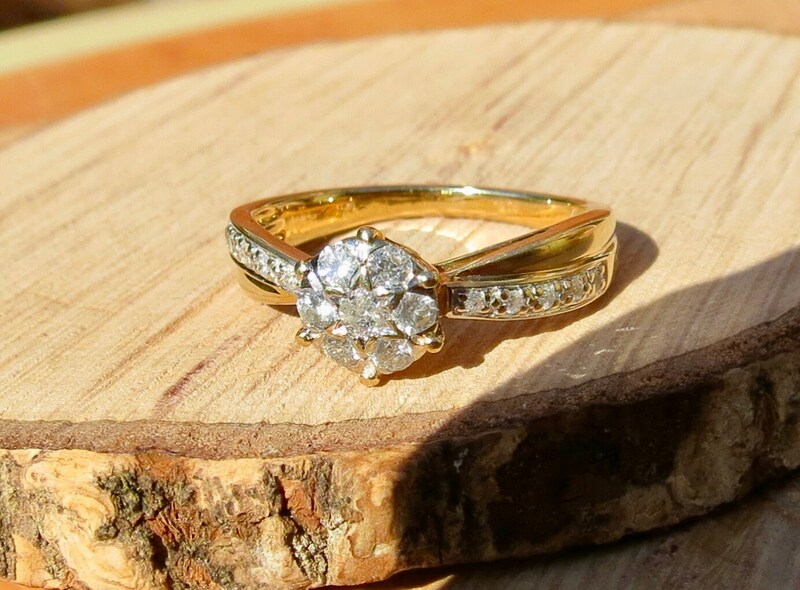 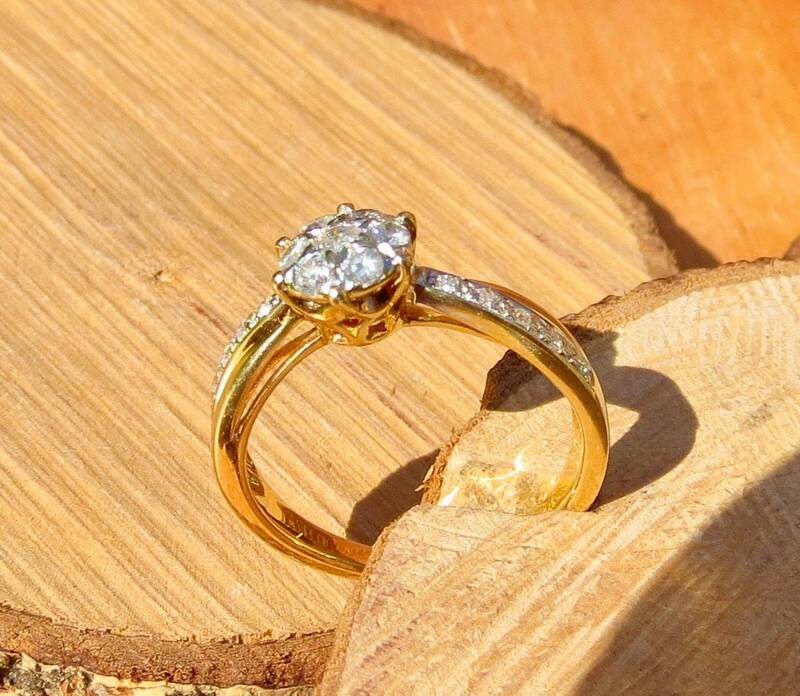 This petité 9k yellow gold ring 7 brilliant cut diamonds in a daisy cluster setting, with more diamonds accented in a crossed ribbon style shank. 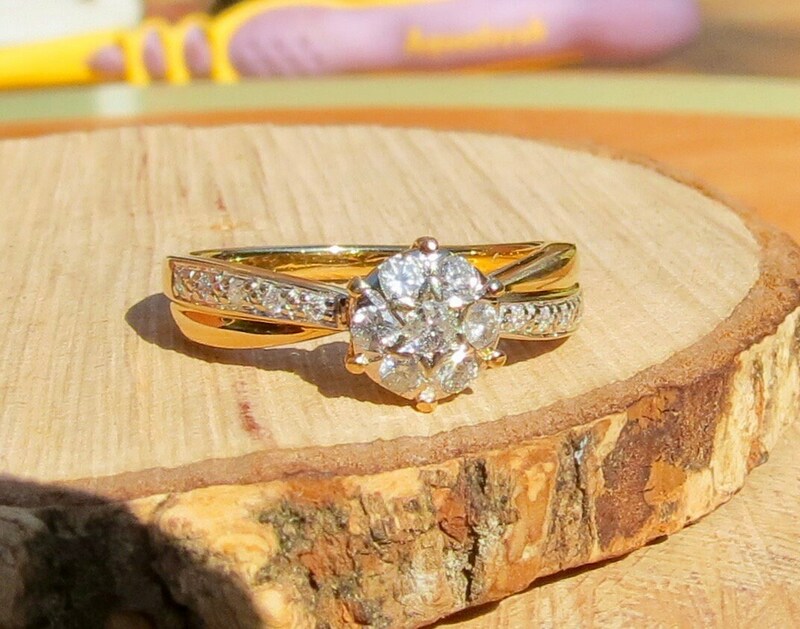 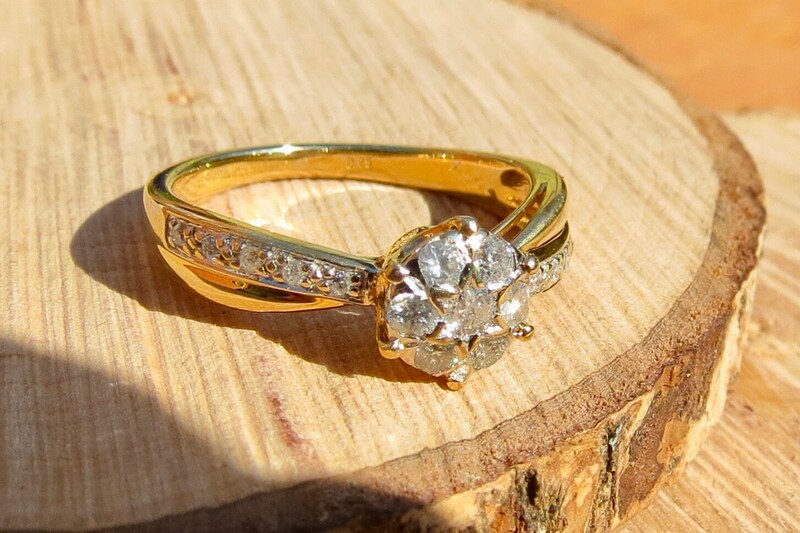 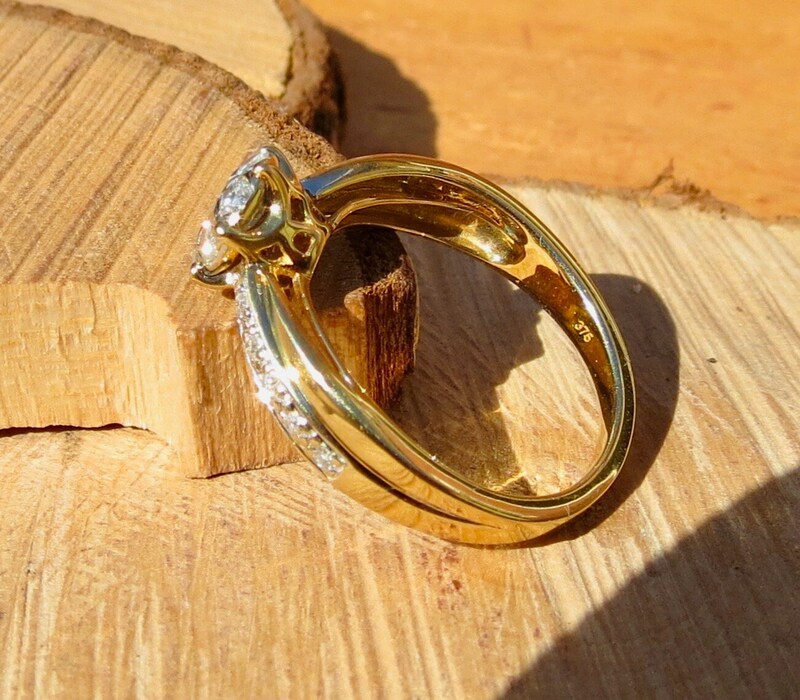 A light and delicate ring, it has British hallmarks 9k yellow gold and .25 stamp for diamond weight. 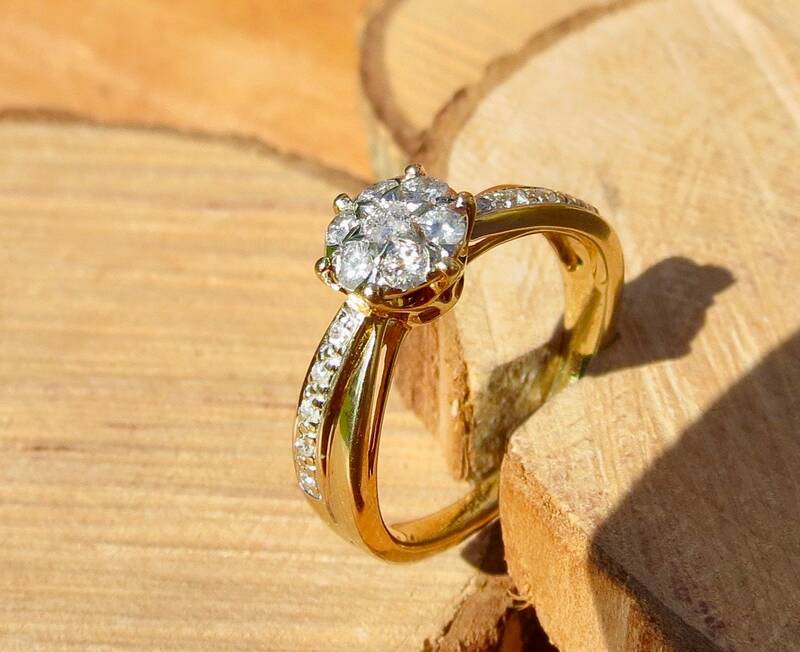 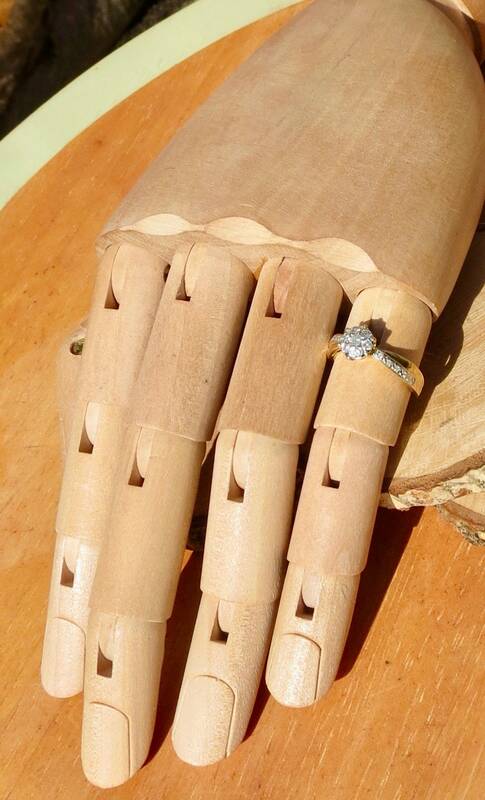 Rings can be resized JUST A LITTLE BIT at most high street Jewellers at a minimal cost.